What is a flame, really? From a chemical perspective, a flame is the visible light product of an exothermic oxidation reaction. This reaction takes C–H bonds and oxygen (O2) in the atmosphere and starts a radical chain reaction that keeps going as long as there is still fuel and oxygen around. Actually, bonds other than just C–H bonds can give rise to burning; that’s just what’s happening during the burning of objects you’re most familiar with (like candles and wood fires). 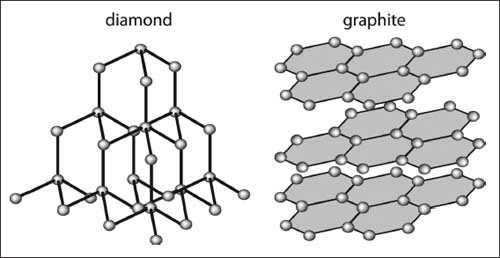 In a diamond crystal, carbon atoms are arranged in a rigid structure, while in graphite the carbon is arranged in layers, making a substance that can easily slough off its layers.